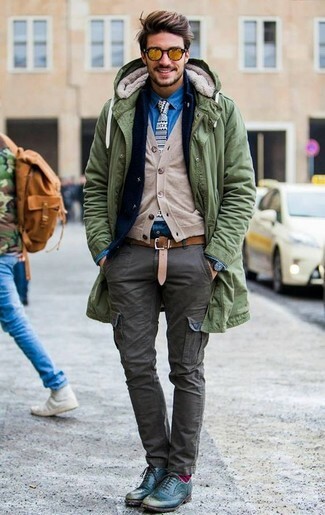 This urban pairing of an olive parka and a Mezlan Diver Leather Belt is super easy to put together without a second thought, helping you look on-trend and prepared for anything without spending too much time rummaging through your closet. For maximum impact, introduce teal leather brogues to the mix. This street style pairing of a brown wool blazer and a Mezlan Diver Leather Belt is very easy to put together without a second thought, helping you look awesome and ready for anything without spending a ton of time digging through your closet. If you prefer relaxed dressing when it comes to your personal style, you'll love this on-trend combo of a light blue denim shirt and a Mezlan diver leather belt. Go for a pair of beige leather desert boots for a masculine aesthetic. 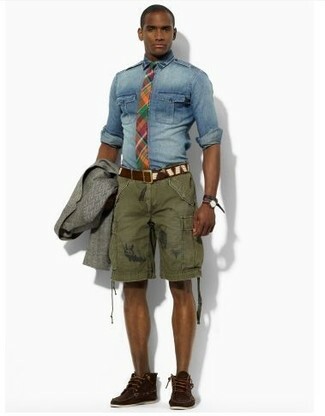 For a foolproof relaxed option, you can rely on this pairing of a navy cotton blazer and a brown leather belt. 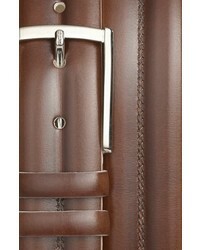 Wear a grey wool blazer and a brown leather belt to be both city casual and practical. For something more on the sophisticated side to finish your ensemble, introduce a pair of brown leather brogues to this look. 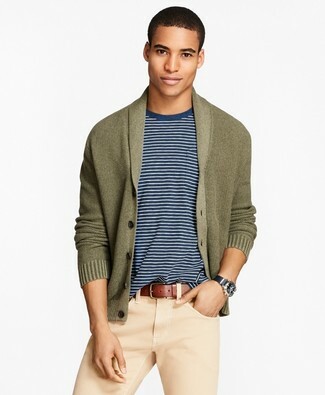 An olive shawl cardigan and a brown leather belt make for the perfect base for a casually stylish getup. 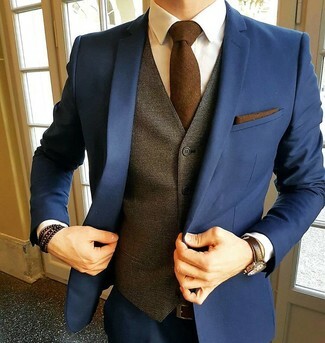 For a look that's very straightforward but can be flaunted in a multitude of different ways, pair a navy suit with a Mezlan Diver Leather Belt. We're all on the hunt for practicality when it comes to fashion, and this casual pairing of a navy vertical striped double breasted blazer and a Mezlan Diver Leather Belt is a great illustration of that. Feeling adventerous? 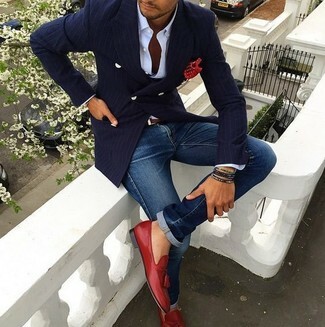 Shake things up with a pair of red leather tassel loafers. This combination of a grey wool blazer and a Mezlan brown leather belt is super easy to imitate and so comfortable to sport from dawn till dusk as well! Add dark brown suede desert boots to the equation for an instant style injection.